The ESP LTD Alexi-600 Scythe is a signature electric guitar by Finnish Melodic Death Metal virtuoso Alexi Laiho with unrestricted playing comfort and hot sounds. Accordingly, the electric guitar offers a full maple neck in the extremely fast "Thin U"-profile, to which alder body wings in V design are glued. In addition to 24 extra jumbo frets, the ebony also carries stylish Scythe inlays for orientation. On the amplifier a passive EMG H2 humbucker provides brute metal sounds that don't lose their definition even in drop-tunings. 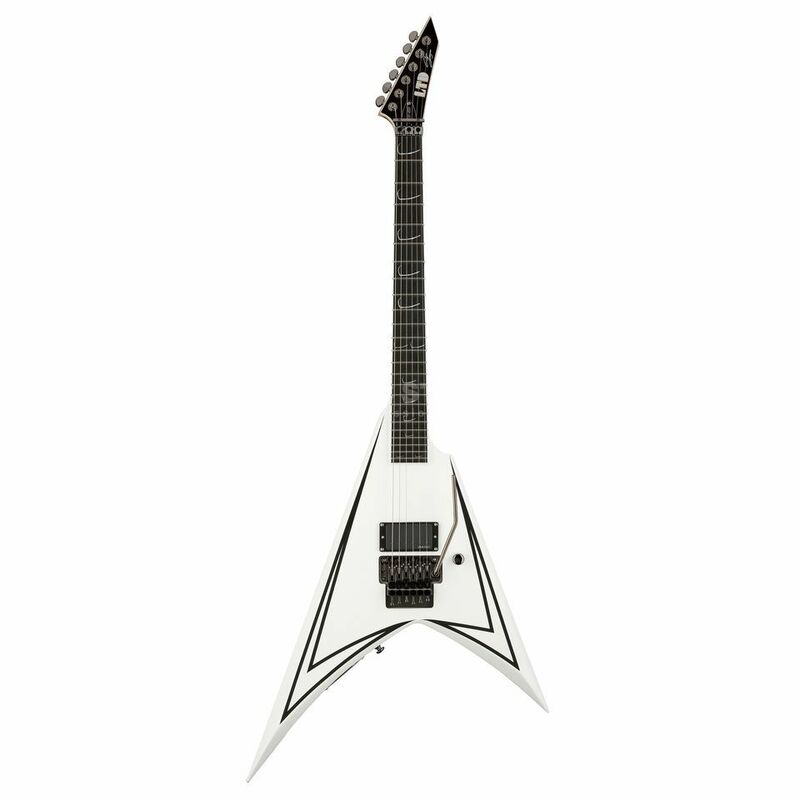 As a real shredder axe, the ESP LTD Alexi also offers a Floyd Rose tremolo for uninhibited dive bombs or squeals. The ESP LTD Alexi-600 convinces with smooth playability and hot metal sounds.